At its peak, Hathaway, Soule & Harrington’s Middleborough branch is said to have employed about 200 operatives. While no definitive records exist detailing exactly who was employed in the plant, town directories for 1895, 1897 and 1899, combined with the federal census record of 1900, are useful in creating a partial list of operatives during the final years of the branch plant’s operation, as well as the roles which they occupied within the factory. Not surprisingly, given their lack of transportation, most operatives of Hathaway, Soule & Harrington needed to live close by the factory. The presence of the plant provided impetus for the residential growth of the district north of Everett Square and east of Cambridge Street during the last two decades of the nineteenth century. By the mid-1890s, certain streets within the district had become closely wedded to the plant. Most notable was Everett Street itself where one out of every two households had a member employed by the firm. Frequently, more than one family member was employed by the firm, a circumstance which further strengthened the connection between industry and community within the neighborhood. The rapid growth of a residential neighborhood, in turn, promoted commercial development within the district. The Spooner Block on the northeast corner of Everett and Arch Streets was constructed at this time and the inclusion of a grocery on its first floor provided nearby residents with a store within walking distance. Still other businesses were established around Everett Square at what was then known as Middleborough’s West End (in distinction to the West Side on the opposite side of the railroad line). These developments created a closely knit community where residents not only lived and shopped together, but worked closely together, as well. 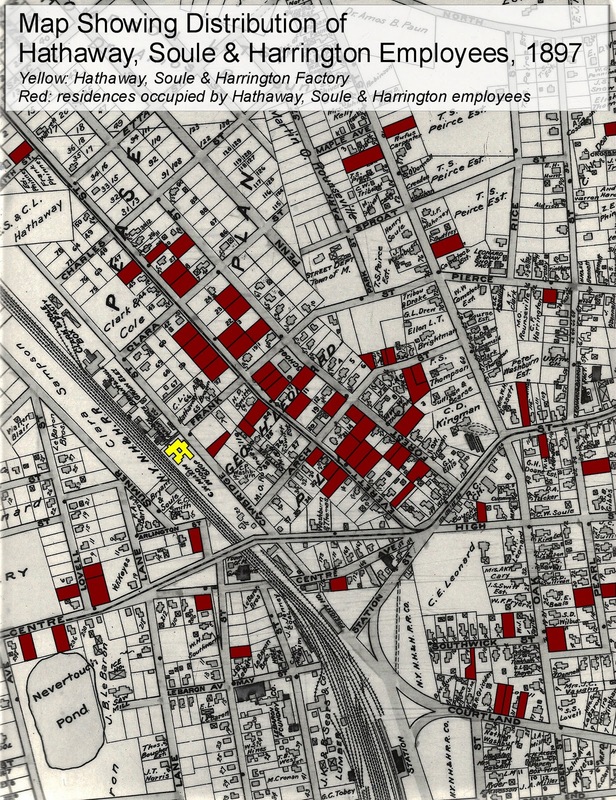 There are no known records detailing the closure of Hathaway, Soule & Harrington’s Middleborough plant, but it is likely to have been both financially and emotionally devastating at the time, given the dependence much of the neighborhood had upon the firm for its livelihood. Though HS&H offered its Middleborough operatives positions in the New Bedford plant it seems that few accepted. Among them was Wilkes H. F. Pettee, the engineer of the Middleborough plant, who temporarily joined Hathaway, Soule & Harrington at New Bedford before returning to Middleborough in 1906 when he took a position with the George E. Keith Company which opened a local branch in that year. Most former Hathaway, Soule & Harrington operatives however remained at Middleborough where they were likely absorbed into the workforces of Alden, Walker & Wilde which opened in 1900; Leonard & Barrows which was expanding its workforce at the time; and Leonard, Shaw & Dean. 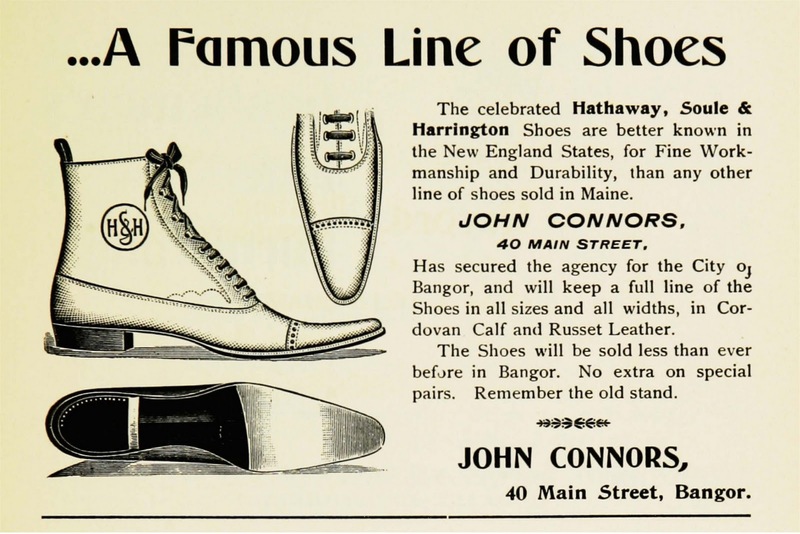 Additionally Brockton remained an alternative for many and several former Hathaway, Soule & Harrington operatives relocated to that city where the larger number of shoe manufactories promised greater opportunity and seemingly better job security. Names and addresses are taken from Resident and Business Directory of Middleboro and Lakeville, Mass. (Needham, MA: A. E. Foss & Co., 1895). Occupations are noted where listed in the directory. Boarders are listed as “bds.” followed by the name of the person with whom they boarded (which in most cases was a parent). Names and addresses are taken from Resident and Business Directory of Middleboro, Massachusetts: For 1897 (Needham, MA: A. E. Foss & Co., 1897). Occupations are noted where listed in the directory. Boarders are listed as “bds.” followed by the name of the person with whom they boarded (which in most cases was a parent). Names and addresses are taken from Resident and Business Directory of Middleboro’ and Lakeville, Massachusetts, For 1899. (Needham, MA: A. E. Foss & Co.,1899). Birth dates and occupations are taken from the Federal census taken in June, 1900, two months following the closure of Hathaway, Soule & Harrington. Shoe manufacturing required skilled workers and shoe operatives typically remained within their area of expertise. It therefore may be presumed that the occupation listed for each operative in June, 1900, was the same occupation that worker pursued while employed by Hathaway, Soule & Harrington. Boarders are listed as “bds.” followed by the name of the person with whom they boarded (which in most cases was a parent). He relocated to Brockton with his father, Ira F. Aldrich, and family following the closure of HS&H. He relocated to Brockton following the closure of HS&H. Following the closure of HS&H he took work as a day laborer. The Bowker family removed to Kingston following the closure of HS&H. He took work as a day laborer following the closure of HS&H. She removed to Brockton with her mother and sister (who was a stitcher) following the closure of HS&H. He took a position with HS&H at New Bedford following Middleborough branch closure. Probably the same Eugene H. McCarthy, “shoemaker”, resident at Brockton in 1900. 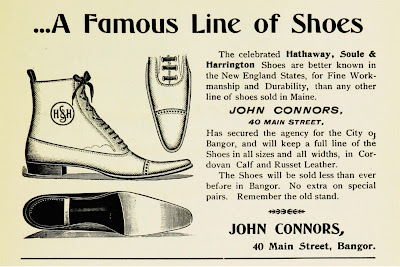 He accepted HS&H’s offer of a position in the New Bedford factory and was employed by them there until 1906 when he returned to Middleborough to enter the employ of the George E. Keith Company which opened a massive shoe manufactory on Sumner Avenue that year. He was working as a salesman following the closure of HS&H. The closure of HS&H prompted Sullivan to find a new career as a newsdealer. He would later operate a noted news stand near the Four Corners for many years. produced by the firm shortly before it closed its Middleborough branch.